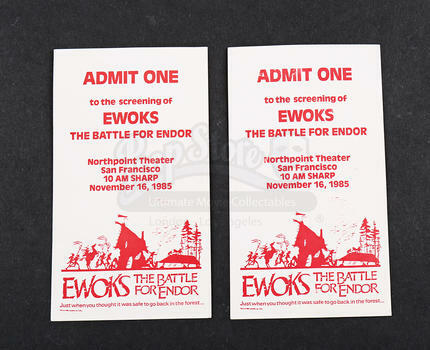 A pair of screening tickets for the 1985 film Ewoks: The Battle for Endor. In the film, Ewoks fight to save their village from a group of Marauders. 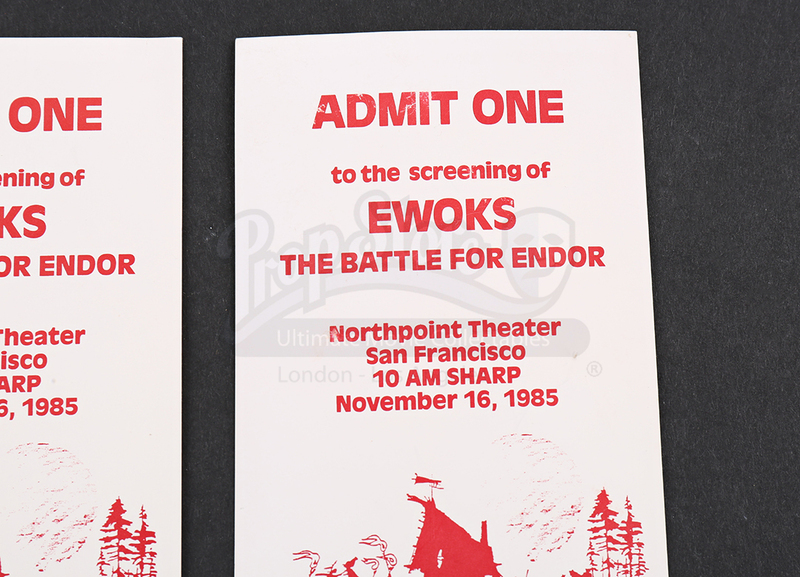 Each ticket features the film's title and location of the screening, which is noted as being held at the Northpoint Theater in San Francisco and dated November 16, 1985. 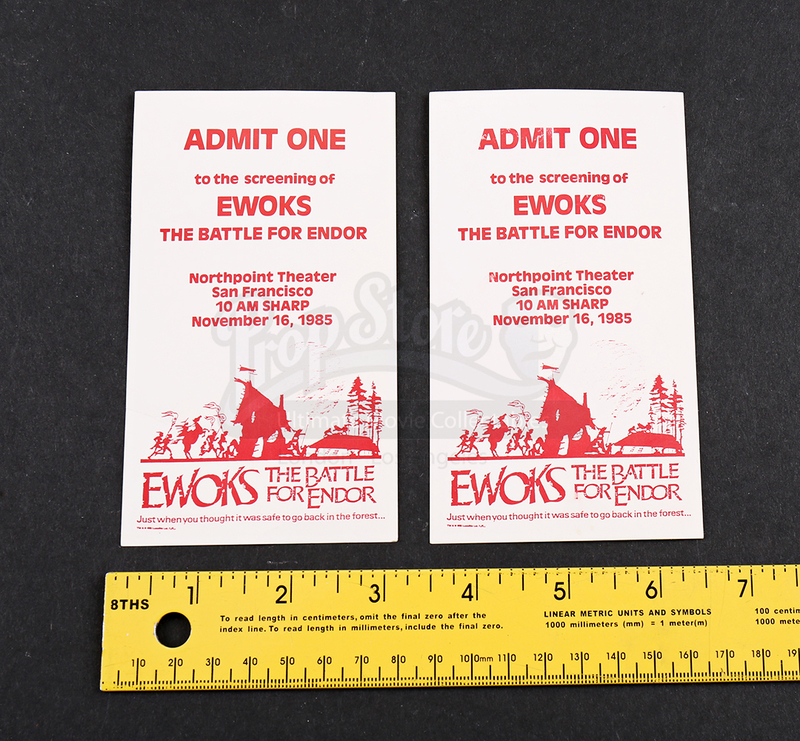 The passes show minimal signs of wear from age and remain in great overall condition.